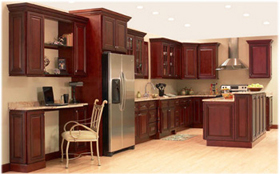 Enhance Your Richmond Virginia Kitchen or Bathroom In Only 5 To 7 Days. 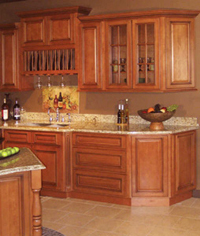 Your Hanover County or Henrico County Granite Countertops can be in Exotic Colors. 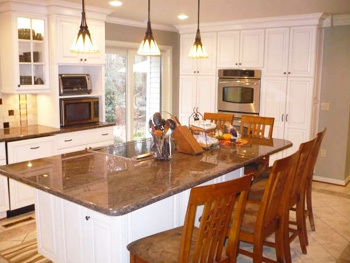 Elite Countertops has fabricated and installed granite countertops and custom cabinetry in kitchens and bathrooms throughout Richmond, Hanover County, Henrico County, Glen Allen, Richmond West End, Bon Air, Short Pump, Midlothian and Chesterfield Va as well as Northern Virginia for over 10 years. We have been providing Henrico County, Chesterfield County and Richmond Metro areas including the Museum District, Richmond Fan, Church Hill and the Southside with professional, custom fabrication and installation of quality cabinetry, granite countertops, Corian countertops, marble countertops, fireplace surrounds, fireplace mantles, bathroom vanities and much more. Whether you need kitchen countertops, bathroom vanity tops, kitchen cabinets, a new bathroom vanity or complete kitchen or bathroom renovation, our expert design and installation staff will provide the Richmond Va communities with the professional services and quality products you want and deserve. Our product lines include complete cabinets, cabinet doors, cabinet hardware, granite countertops, natural stone tiles, Corian Countertops, Silestone Countertops as well as decorative accessories for your kitchen, bathroom, home office, dining room, living room or entertainment room. View our Granite Countertop and Cabinetry Pages to learn more and see a sample of our wide selection of options to enhance your kitchen or bathroom. We are happy to provide free estimates and in home consultation to our residential and commercial clients for custom fabrication and installation granite countertops, corian countertops, kitchen cabinets, bathroom cabinets in Richmond, Chesterfield County and Henrico County Virginia as well as the surrounding communities of Richmond West End, Richmond Museum District, Richmond Fan, Midlothian, Biltmore, Bon Air, Canterbury, Capitol View, Deep Bottom, Fair Oaks, Fort Lee, Gayton, Glen Allen, Glendale, Lakeside, Mayfair Place, Montrose, Mooreland, Oakland, Richmond Heights, Sandston, Short Pump, Springdale, Tuckahoe, Varina, Virginia Heights, Wedgewood, Westbriar, Westham, Westhampton, Windsor Place, and Wyndham, Virginia. Elite Countertops will come to your home or business in the Richmond, Henrico, or Chesterfield areas for a consultation, measurements and estimate for your granite countertop and kitchen or bath cabinets, and to assist you in making an informed decision to meet your needs and fit your budget. Please complete our Information and Estimate Request Form at the link above and we will be happy to contact you at your convenience. 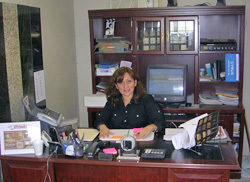 We welcome the opportunity to answer any questions you might have about our quality cabinet and natural stone countertop products and to provide you with custom fabrication, installation, and assistance in designing of your Kitchen, Bathroom, Entertainment Room, Family Room or Office in your home or business. Elite Countertop accepts credit cards including Visa, Master Card and Discover.